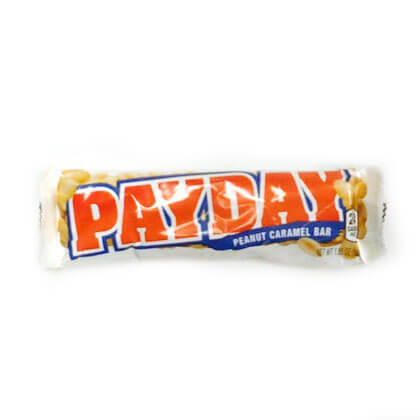 PayDay salted peanuts rolled in caramel surrounding a firm nougat-like center. Regular size candy bar. Net weight is 1.85 oz. Approx. 4.5 inches long.